Warren Christopher said his views about human rights were shaped by trips he took with his father during the Depression. Washington (CNN) -- Former Secretary of State Warren Christopher died Friday from complications of kidney and bladder cancer, his family said. He was 85. As America's chief diplomat for four years during President Bill Clinton's administration, Christopher "eschewed confrontation in favor of negotiation with friend and foe alike," according to a profile posted on the State Department website. "The cause of peace and freedom and decency have never had a more tireless or tenacious advocate," Clinton said in 1996 after Christopher announced he was stepping down from the post. President Obama said he and the first lady were saddened to hear of the loss. "Deeply dedicated to serving his country, Warren's career ranged from the naval reserve in World War II to a clerkship at the Supreme Court to the practice of law and politics in California and Washington," Obama said in a statement. "And as President Clinton's Secretary of State, he was a resolute pursuer of peace, leading negotiations with regard to the Middle East and the Balkans, including the Dayton Agreement, which ended the war in Bosnia. Warren Christopher was a skillful diplomat, a steadfast public servant, and a faithful American," the president said. In 1981, Christopher received the Medal of Freedom -- the nation's highest civilian award -- for his role in negotiating the release of 52 American hostages in Iran while serving as deputy secretary of state for President Jimmy Carter. Christopher -- known as "Chris" to his friends -- also oversaw the negotiation of the 1995 Dayton Agreement that ended the Bosnian war. "Literally, until the last minute the outcome was in doubt. Our negotiators had their bags packed and were ready to head home without an agreement. But Chris refused to give up," Clinton recalled in his 1996 remarks. "And the force of his will finally convinced the Balkan leaders to give in to the logic of peace." Clinton went on to praise Christopher's efforts in the Middle East peace process and helping build democracy in Haiti. Issuing a statement from Paris, where she is attending a summit over the crisis in Libya, U.S. Secretary of State Hillary Clinton said she also was deeply saddened by the passing of her predecessor. "The longer I spend in this job, the deeper my appreciation grows for the giants who came before," she said. 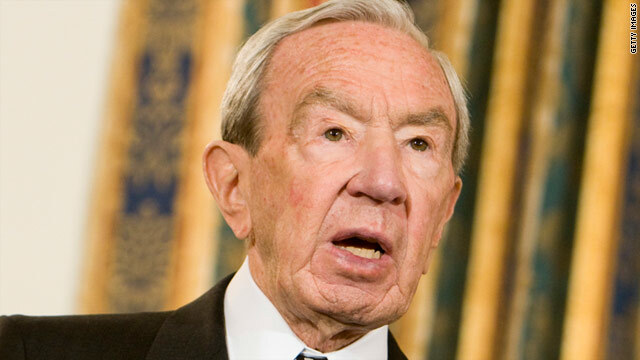 "Warren was a diplomat's diplomat -- talented, dedicated and exceptionally wise." She credited Christopher helping establish diplomatic relations with China, overseeing the expansion of NATO, and working for peace in the Middle East. She said he "championed human rights around the world." "In addition to being a great statesman, Warren was also a dear friend," she said. "I relied on his advice and experience over many years." Christopher also played a significant leadership role on several domestic issues, particularly in the state of California, where he was chairman and later senior partner of the O'Melveny & Myers law firm. He chaired a commission investigating the Rodney King assault and subsequent riots in Los Angeles, and served on the California Hate Crimes Task Force, according to a biography provided by the firm. His legal career began with a clerkship with U.S. Supreme Court Justice William O. Douglas, who advised Christopher to "get out into the stream of history and swim as fast as you can," the law firm's biography said. That idea stuck with Christopher, who later said "being Secretary of State is to take part in history's relay race" after announcing his plans to step down from the post. Christopher was born in Scranton, North Dakota. He served as a Naval ensign in during World War II. He graduated from the University of Southern California in 1945 and graduated from Stanford Law School in 1949. In a 2009 interview, he told the Los Angeles Times that his views about human rights were shaped by the trips he took with his father, who was a clerk for foreclosure sales in North Dakota during the Great Depression. "On the way there, he would talk to me about the hardship the farmers faced. That certainly was the beginning of it for me. It's a constant struggle to try to improve the lot of people around the world," he said. "A lot of people live in poverty and deprivation, and we have to be constantly alert to do what we can, to always feel we have done as much as we should." He is survived by his wife, four children and five grandchildren, the law firm's biography said. Plans for a private memorial are pending.